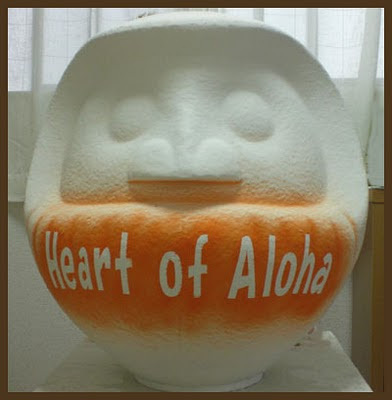 The seasons of Hawai'i are very much recognized and appreciated by Japanese-writing haiku poets in the islands. Honolulu, and ゆく春発行所 (Yukuharu Hakkojo), Tokyo, 1970. The book contains some 235 seasonal topics, as well as some "miscellaneous" or "seasonless" topics, many recognized by Japanese saijiki and many more specific to Hawai'i, many with English translations, and with plenty of haiku illustrating their use. To me, this makes good sense, since the Islands in fact are only marginally tropical, lying across the tropic of Cancer, though the largest islands are a bit south of it. In any case, there is nowhere on the planet that does not feel some seasonal effects (including most city-scapes and indoor spaces), so please don't be so hasty in dismissing the seasons. only at particular times of the year, and so on. (I have numerous books that document this fact.) This is not to mention the various holidays and annual events by which we mark the passage of our yearly round. You will find many of these, and in particular the varying seasonal events of the sea, well documented in the Hawaii Poetry Calendar. In fact, traditional Hawaiian culture counted 13 different seasons in the 12 months of the lunar year - based on air temperature, wind direction, which fish were biting and what plants were blooming or producing fruit. We know in Hawaii that our seasons are driven by the surrounding ocean’s “thermal lag,” the couple of months between the shortest and longest days of the year and the coldest and warmest days of the year. Hawaii is made up of eight major islands that include: Hawaii, Oahu, Maui, Kawai, Kahoolawe, Molokai, Lanai and Niihau. Hawaiian weather is quite consistent year-round. This is because of the warm sea surface temperatures that remain fairly consistent all year. Rather than four seasons in Hawaii, there are really only two - Summer and Winter. Summer generally goes from May to October and is called Kau in Hawaiian. Winter is known as Ho'oilo and generally runs from November to April. The Nene, which is pronounced "nay-nay," is often referred to as the Hawaiian goose. Living in the rough lava has helped the Nene to change from web feet to a claw-like shape. Its wing structure has modified itself to accommodate shorter flights. Until the Nene was protected in 1949, it was nearly extinct through hunting and wild animals. The unofficial state fish the Hawaiian Triggerfish. The actual name is very long! It is Humuhumunukunukuapua`a, which is pronounced humuhumunukunukuapua.